enjoy your daily reminder to practice The Four Agreements! 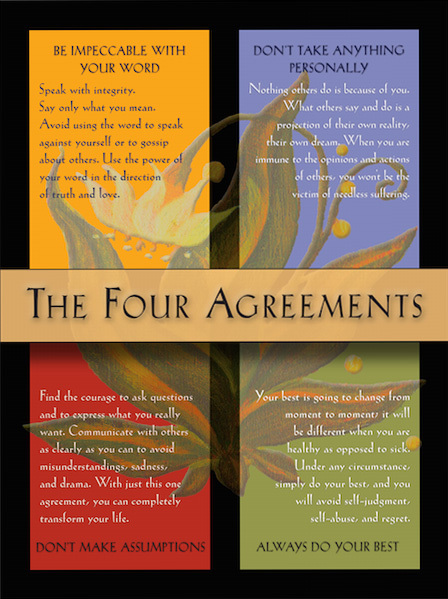 Poster size: 8.5 x 11" or 18 x 24"
Download this beautiful poster, print, hang on your wall, and enjoy your daily reminder to practice The Four Agreements! Copyright © 2019 Amber-Allen Publishing, Inc.
“The Four Agreements” is a registered trademark.